The VZone Preco Kit Plus is the newest kit in the Preco range. The VZone Preco range started with the release of the Preco disposable sub ohm mesh tank. To accompany the tank VZone created the internal battery Preco One mod which was sold as a kit. Now to follow on from that the Preco Kit Plus still includes the original Preco tank but this time the mod has a removable battery. As mentioned above the Preco tank is a disposable sub ohm tank which has a 0.15 ohm mesh coil. There is an adjustable bottom airflow and a top filler plug. The mod this time uses a single 18650 battery to power it but this is not included in the kit. 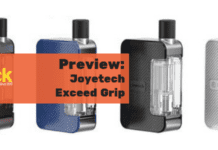 Also the output is said to be 80W max – I would imagine that would depend on the battery and tank installed. The original Preco tank however did say it was best at 50-60W but was rated up to 70W – which makes me wonder if there is any change to the tank for this version as this is a higher output? There is nothing on the VZone website to say this as it just refers to the original Preco Tank. You get an indicator light which shows the battery power remaining by lighting up the ring around the fire button. 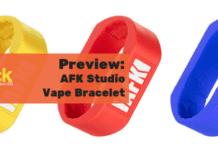 There are 3 colour options – Stainless Steel, Purple Blue and Gun Metal. I am currently reviewing the Preco One Kit and as a little spoiler I will say the idea of a removable battery will make the Plus version a much better performer! Is the VZone Preco Kit Plus the easy to use vape pen kit you have been looking for? Let me know in the comments below!